Do you have news, reviews or comments for 'Jack'? There was another tight battle fought at the top of the UK box office this week with A Star Is Born just about holding onto the number 1 spot despite the challenge from Halloween. The Bradley Cooper directed movie is proving to be a big pull with British audiences as the movie manges to stay at the top of the box office for a second week, on its third week of release. Pulling in £2.8 million for a film in its third week of release is very good, this brings the films total gross to £14.8 million. Highest new movie of the week is the sequel movie Halloween which is released 40 years after the original John Carpenter directed film and is being billed as a true sequel. Starring original star Jamie Lee Curtis the film takes an excellent £2.6 million over the weekend, missing the number one spot by just over 200,000 pound. Being October the Halloween based films are coming thick and fast and a more kid friendly film makes its debut at number 3 with a sequel to the 2015 film Goosebumps starring jack Black. The original took £2.6 million on its debut and this sequel comes in just lower with £2.1 million. The inept spy hangs around for a third week taking £1.6 million boosting its total UK gross to £10.9 million, this is lower than the other 2 films in the series at this stage of release. Sony's Marvel anti-hero movie spends most likely its last week on the top 5 taking £1.5 million takings its UK gross to £16.6 million. The film is the highest total grossing movie on the box offie this week. The Disney movie makes a reappearance on the box office this week and by doing so becomes the longest running film on the top 15 with 9 weeks. With the press tour and good reviews the new 2018 Halloween sequel dominates the US nox office on its debut weekend while A Star Is Born has to stay at 2 and Venom tumbles to 3. Its been 40 years since the first Halloween directed by John Carpenter, Jamie Lee Curtis stared in that film as a school girl terrorised by Micheal Myers, this film shows Myers coming back to terrorise her again and dragas her family along for the ride. The film has had great reviews and makes its US debut at number 1 with $77.5 million, becoming the highest grossing debut for a horror film. This will by far become the top grossing film in the series for which this is the 9th entry. The film just can't make it to the top of the US box office and this week stays at number 3 for a third straight weekend. This week it takes $19.3 million which boosts its total US gross to $126.3 million. After 2 weeks at the top the Sony marvel movie falls to number 3 this week with 18.1 million to boosts its total to $171.1 million. The Jack Black starring film falls to number 4 this week with $9.7 million which brings its total gross after 2 weeks to $28.8 million. Perhaps performing not as well as expected the film falls to number 5 this week with $8.5 million, this brings the films total gross to $30 million. Venom stays at the top of the US box office this week with A Star Is Born staying at number 2, while new entries First Man and Goosebumps 2 Haunted Halloween follow at 3 and 4. The Tom Hardy starring super villain movie manages to stay ahead of the crowd for a second weekend and remain at the top with a $35 million gross. This brings the Reuben Fleischer directed Marvel films total gross after 10 days of release to $142.8 million. Remaining in the runner up spot this week is the Bradley Cooper directed remake starring Lady Gaga which takes $28 million on its second weekend. The film is just shy of the $100 million mark after 10 days with a US gross of $94.1 million. 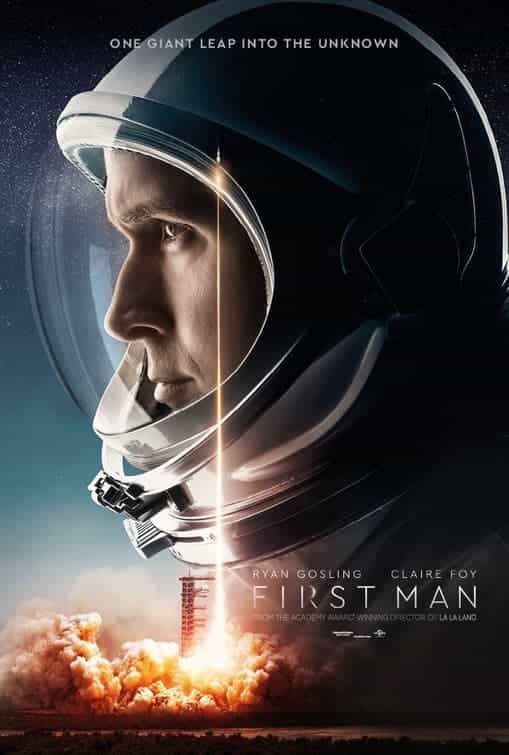 Highest new entry of the week comes in at 3, the potential Oscar glory film starring Ryan Gosling and directed by Damien Chazelle, the film about the first man on the moon takes $16.5 million on its debut. lighthearted spooks is the order of the day at 4 with the sequel new entry starring Wendi McLendon-Covey and Jack Black. The film from the successful series of books of the same name takes $16.2 million on its debut weekend. The lighthearted family comedy has been on the chart now for 3 weeks and takes $9.3 million to boost its total US gross to $57.6 million. There were three new entries at the top of this weeks UK box office in the shape of Venom, A Star Is Born and Johnny English Strikes Again, but it was Sony's Villain Hero film which took top honors. The Tom Hardy starring film dominated what was a busy weekend at the UK box office with an £8 million debut which is good for a Marvel movie in the Spider-Man universe, and only a million off that of Spider-Man Homecoming from last year. This of course is not from the MCU despite leaning heavily on the look and feel of a typical Marvel film, but as with Suicide Squad from last year this proves that villains can hold their own in a movie despite poor reviews. The third in the Johnny English series of film and it looks like the Rowan Atkinson starring James Bond Spoof has lost none of its appeal as it makes its debut with £4.1 million which is in the same ball park as the other 2. Both the other 2 films went on to make in the £20 million region and we would expect this one to do very similar business as its appealing to the same audience, this film has got less favourable reviews though. It was a very fine margin but Johnny English just beat out A Star Is Born as the Bradley Cooper directed and starring film takes the third spot this week with a £4.1 million debut. Three weeks on the box office now and the Jack Black starring film takes £900,00 over the weekend to boost its total UK gross to £6.8 million. Taking a large tumble this week and finishing off the top 5 the Kevin Hart romantic comedy takes £860,000 to boost its 2 week UK gross to £3.1 million. Having been on the box office for 13 weeks the Pixar animated comedy has taken an incredible £55.7 million making it the third highest grossing film of 2018. It was a tight fought battle at the top of the UK box office this weekend between Night School and last weeks top film The House With A Clock In Its Walls but the new comer won in the end. Taking iver at the top the new romantic comedy starring Kevin Hart and Tiffany Haddish took the top with £1.59 million, a very slim margin of £0.05million. Kevin Hart has appeared in some high profile film including Jumanji: Welcome To The Jungle so this is a fairly low opening for him, for Tiffany Haddish who starred is the £8 million Girls Trip from 2017 this will go down as her second highest grossing film in the UK. Taking top honors that week the Jack Black starring film nearly repeated this week but gets knocked down to 2 taking £1.54 million for the weekend, this boosts the films total to £5.5 million after 2 weeks. The Paul Feig directed film falls to number 3 this week with just over a million pound weekend gross which takes to films UK gross to £3.4 million after 2 weeks. The American smash hit comedy is still doing well in the UK, although not bringing in the same success as across the pond, but a £0.7 million weekend puts the film at number 4 this week and boosts the total gross to £4.8 million. 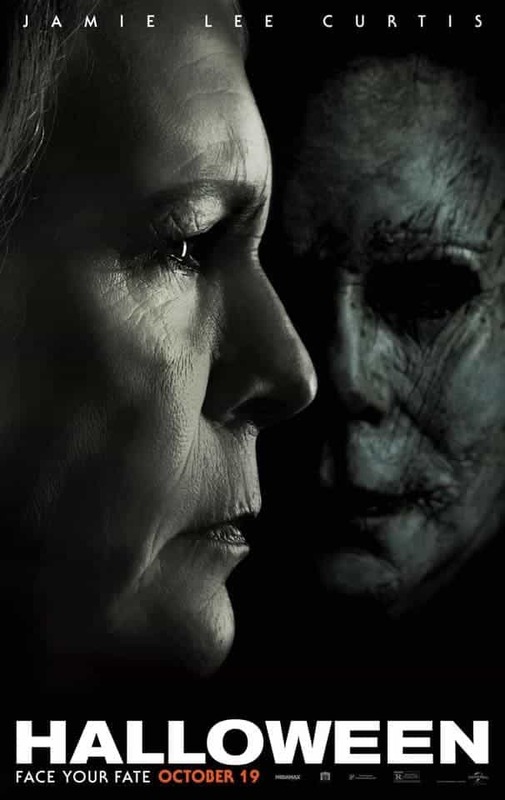 Halloween may be just around the corner but this horror film will be out the charts by then, sitting at 5 this week with a £0.6 million weekend brings it to a very respectable £10.5 million UK gross. The sequel has done amazingly well in the UK and is the top total grossing film again this week, dropping to number 13 this week the film has a UK total gross of £65 million. It probably wont outgross the original movie's £69 million which for a time was the UK's top film but it will be in the same ball park.